This recipe is a bit more appropriate for autumn and the changing of the seasons, but the subtle sweetness and spice of this glaze can be enjoyed at any time. I trolled the internet for many recipe ideas and spice combinations, but ultimately was mostly inspired by this one from CookingLight. 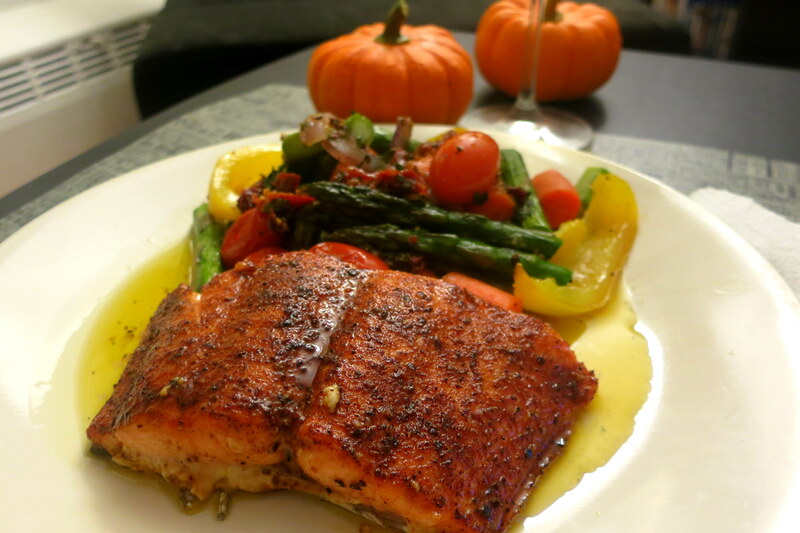 In order to complement the flavors, I would serve Wild Mushroom and Asparagus Risotto, Creamy Kabocha Squash Risotto or simply Roasted Vegetables on the side. Preheat oven to 400. Combine all the spices and adjust proportions to your taste. Add maple syrup or honey. Mix all of it together. 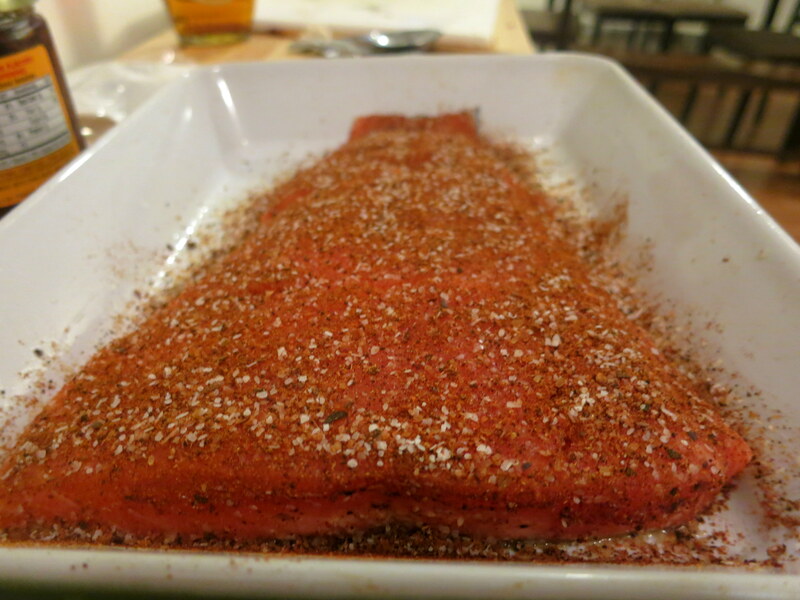 Place the salmon filet on an oiled baking surface and cover with the mixture on all sides. Feel free to add some sugar on top so it caramelizes and creates more of a crust. Roast for ~20minutes, depending on the thickness of the fish. 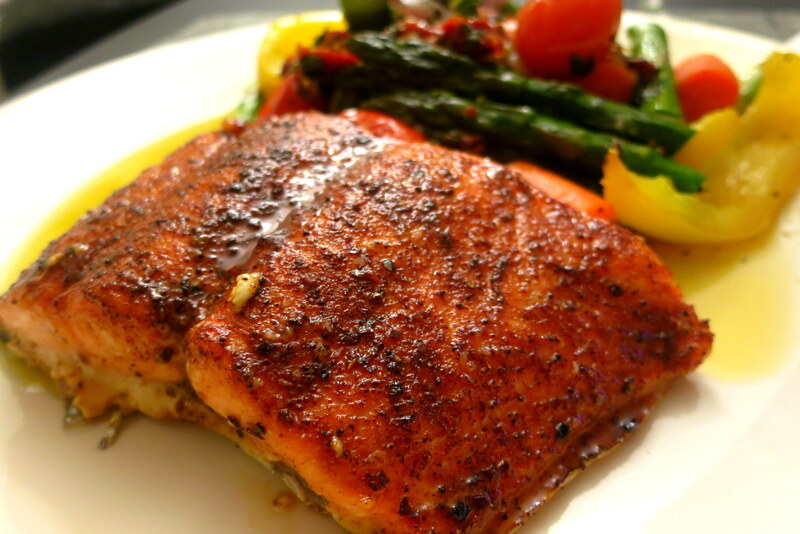 Serve with risotto or veggies and enjoy this simple, delicious recipe! This looks really amazing. 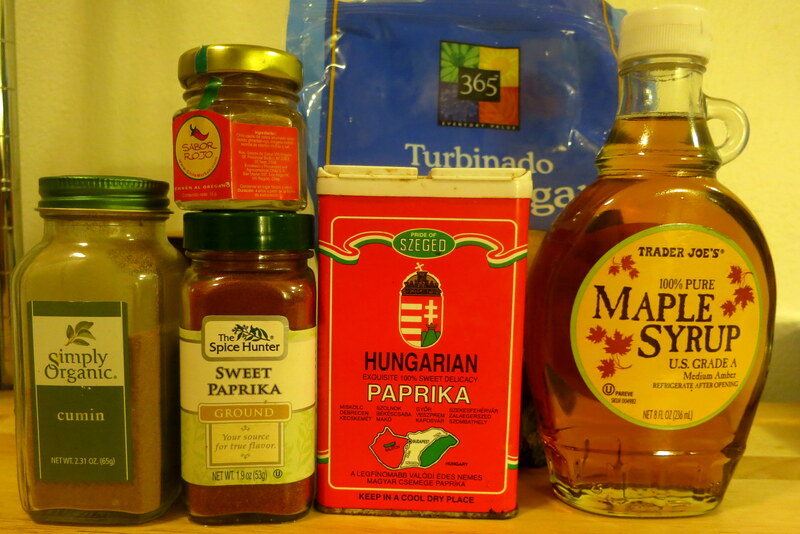 I love the taste of maple syrup and it sounds like it would be amazing as a glaze with brown sugar.